The Health Sciences Library is a shared learning environment and as such, regulations governing behaviour have been drafted to ensure the comfort and safety of all who visit our space. We expect that all library users will behave civily, honestly, and respectfully. Library users and staff are required to obey the laws of the land and treat others in a way that does not harm them physically and/or threaten or intimidate them emotionally or mentally and respect the authority of University and Hospital officials in the course of their duties. Rooms are intended for group use only, a minumum of two students are permitted to use the group study rooms. Rooms may not be reserved or held for one person. The largest study room (1B20) requires a minimum of six students. Study rooms are not available for meetings, classes, tutorials, review sessions, extended office hours, clubs, or organizations. Health Sciences students may have only one pre-booking within a seven-day period. Reservations can be made up to seven days in advance by Faculty of Health Sciences students. Available study rooms can be signed out for immediate or same day use on a first come, first served basis to all McMaster University students. Keys are available to sign out upon request. Charges will apply for keys not returned by the end of the booking time. Students must register with a valid MAC ID in order to use the online booking system. If a booking is no longer needed, it should be cancelled so the room can be released for other students to book. No telephone or email reservations will be accepted. Study rooms are available for a maximum of three hours. No renewals are permitted. Permission to book the largest study room (1B20) for a time period longer than three hours may be granted on a case-by-case basis. Contact the Service Desk for more information. Food is not permitted in group study rooms HSC 1B15 and HSC 2B21 due to the sensitive technology in the room. Rooms must be vacated when the booking has ended. All rooms must be vacated 15 minutes prior to the library closing. If you find that a room was left in poor condition by the previous occupants, report it immediately to the Service Desk. Groups who are not using the equipment in a study room may be asked to relocate if the equipment is needed by another group, and only if another room is available. Learn more about the library's Study Spaces. Conversation is not permitted in the Silent Study zones. Phone use is prohibited in the Silent Study and Quiet Study zones. Conversation is permitted in all Group and Quiet Study zones. Conversation in Quiet Study zones must be at a respectful level. Cell phones should be set to vibrate while in the library. Library spaces are to be used for activities that support the mission and vision of the University. Solicitation and commercial activities are not permitted in the library. Individual study space cannot be reserved. The library is not responsible for unattended items. Headphones should be worn when listening to music, watching videos or communicating via the Internet (e.g. Skype). Learn about Borrowing Penalties & Fines. Interlibrary loans service is provided only to active McMaster faculty, students and staff, faculty and librarians retired from the University, and HHS staff holding McMaster University borrowers cards. Other individuals are asked to use the interlibrary loan department at their home institution or public library. Learn more about the library's Interlibrary Loans service. For libraries looking to borrow from HSL through their Interlibrary Loans service, see our ILL Lending Policy. Reading lists for all FHS courses are required to place material on reserve. Course reserves are governed by the Copyright Act. All material will be taken off reserve at the end of the course. The material will only be for specific FHS courses. The library does not accept instructors' own personal copies of books for reserve. Electronic books or journal articles will not be placed on reserve. Learn more about our Course Reserves service. Misuse or physical damage of the lockers may lead to disciplinary action and suspension from using the Health Sciences Library's materials or space. Devices left in the charging stations for more than one business day will be turned over to Hamilton Health Sciences Security. Library and security staff will carry out spot-checks for unacceptable contents and inappropriate use on a regular basis. Inappropriate materials will be removed from the lockers. Learn more about the library's Charging Stations. Disconnecting and reconnecting library equipment is prohibited. The library expects users to abide by McMaster’s Information Security Policy. Library computers and wifi networks are to be used for activities that support the mission and vision of the University. Online activities that would increase the risk to McMaster resources, violate the rights of others or violate University Policies or applicable laws are prohibited. Learn about the library's Computers. Drinks are allowed throughout the library. No food deliveries are permitted. Food that is intended to be shared with groups is not permitted in the library. Lost items in the Health Sciences Library are transferred to Hamilton Health Sciences Security Services. 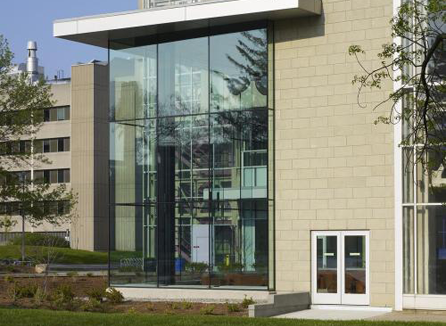 Security Services are located on Level Two at the main entrance of the McMaster University Medical Centre. Items of value are transferred to Security Services at the end of each day. Clothing items and umbrellas are not sent to Security Services. These items are held until the end of the month after which time they are donated to charity. Hospital and campus security are two separate services. You may also wish to check with campus security if you've lost an item. Photographing, filming or video/audio recording is prohibited in the library without the express prior permission of a designated senior library manager. Do not move or rearrange library furniture. Do not block access to library fire exits. Electrical cords must not cross aisles or open spaces. The use of roller skates, in-line skates, skateboards, and bicycles is not permitted. Loud conversation, offensive language, and disruptive behaviour are prohibited. Clear away garbage by putting them in the proper receptacles. Staff are not responsible for the safety or supervision of children left unattended in the library. If the parent of an unattended child cannot be located, staff may contact hospital security and/or the Children’s Aid Society or the police. Library staff may request individuals to produce his/her university or hospital identification card. If an individual fails to produce identification, he/she may be asked to leave the library. Individuals found to be in contravention of these regulations may be asked to leave the library. If the inappropriate behaviour continues and/or if the individual or group refuses to leave the library, security will be called. Individuals found in contravention of these regulations may face action under the Student Code of Conduct. Misuse of library services and resources may result in penalties, fines, or loss of privileges.